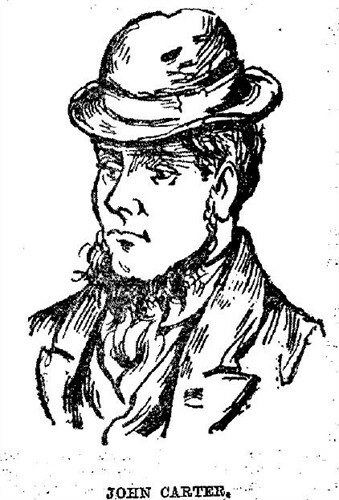 Sketch of John Carter from the Illustrated Police News. Wish to catch up on previous Posts about my Great-Great Grandfather John Carter? ~Thriller Thursday ~ First Installment ~ Accident or Murder? Nothing truly prepares you for that horrific genealogical find! That discovery which at first seems a wrong turn, a climb out on the limb of someone else’s tree. Then the heart halting reality sinks deep into your bones and your blood chills as every element of your research forms proof that you indeed are related to someone …well…far less than savoury! But I digress, I must not rush my tale for although I learned of this story completely out of sequence I’d like you to follow the events as they happened rather than as my research unfolded and revealed them to me. I take you back to John Carter, my Great-Great Grandfather, whose wife, of 16 years, Elizabeth Thatcher has tragically died after a fall down their cottage steps, her head bashed against the stone floor below. An accident as ruled by Mr. Jotcham, the coroner! John Carter was a cowman–a farm labourer but one highly valued for his skills, which included those of a blacksmith. He worked and lived on Broad Leaze Farm near Shrivenham. The character of John Carter is said to have been “bad”! …but he seems to have generally found employment, as he was what was known as a “handy man.” When he married his first wife, whose maiden name was Thatcher, he was groom and gardener to a gentleman, but got into trouble over some fowls. He was greatly addicted to drink, and used his wife so badly that he was repeatedly remonstrated with and summoned. 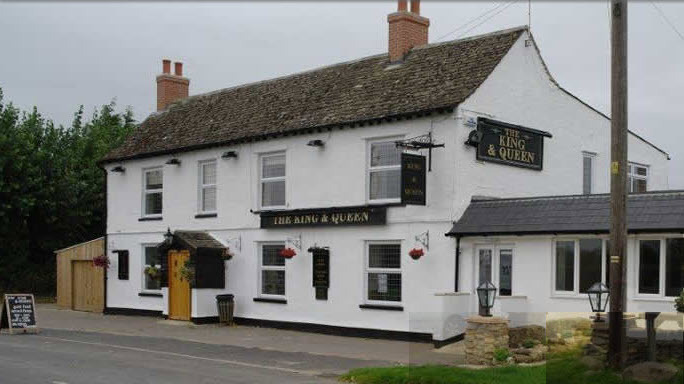 John frequented the local public house, the “King & Queen” in Longcot. Perhaps drowning his sorrows, perhaps celebrating his new found freedom–though I doubt being left alone with six children could be considered free–John met 18 year old bar maid Elizabeth Ann Alder. 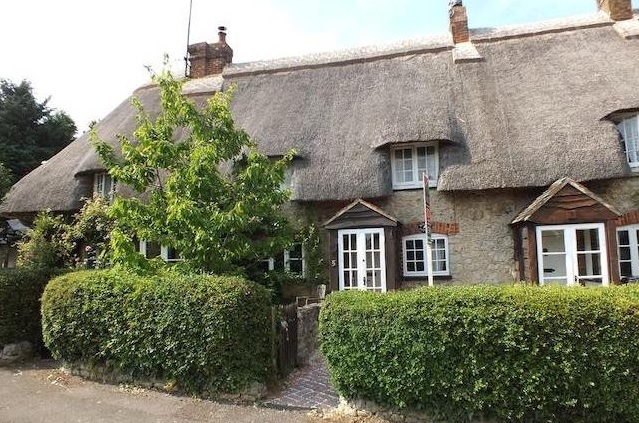 Not two months after his first wife had perished, a now pregnant Elizabeth Alder moved in.with him at Broad Leaze farm cottages and they were soon married 19 Oct 1887. 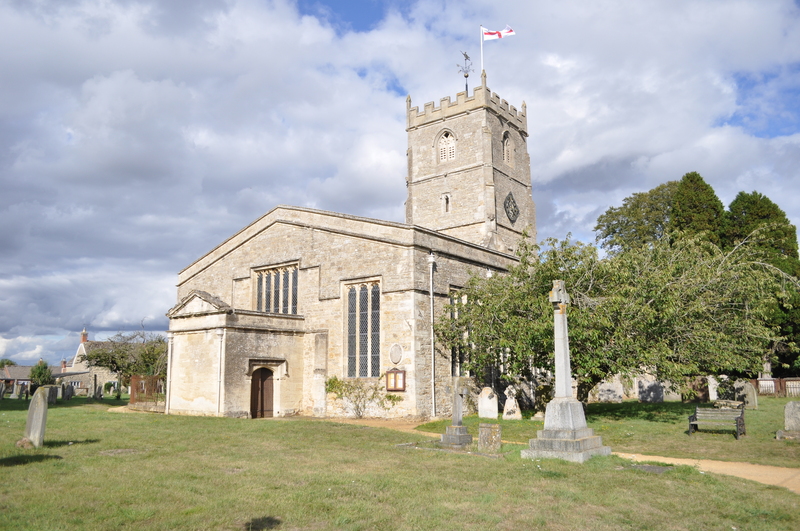 St. Andrew’s Church Shrivenham. Where John Carter and Elizabeth Ann Alder married in 1887. …he treated her very cruelly, beating her in a terrible manner, and she used to run to me for protection. Once one of Mr. Carter’s little boys refused to wash his hands before dinner, and she gave him a tap, and for that Carter beat her unmercifully. Elizabeth gave birth to a son John Nelson Carter in 1888. One September Saturday of 1889 Mrs. Enestone stopped to visit with Elizabeth who stood outside her door polishing her husband’s boots. Excited Elizabeth explained that she and John had plans to attend the Faringdon bazaar if he made it home in time. They did not attend the bazaar and the events of that night ended in the vanishing of John’s young wife! John’s 10 year old daughter Martha, disturbed by the din of what sounded like a falling chair and table in the night was baffled by her step-mother’s disappearance asking her father where she had gone. …about nine that night she heard Mrs. Carter give one terrible shriek. She had often heard her screaming fearfully, but this was quite different; it was one piercing shriek, and then all was quiet, and she never saw her again. She’s gone off with a chap from Stanford, they live in Swindon, she took my last 24 shillings and my only solace is the baby boy she has deserted. He had contacted Elizabeth’s family to let them know she had run away and could not be found!